Similar to infants, babies and toddlers have a relatively high demand for liquids and therefore need additional drinks. 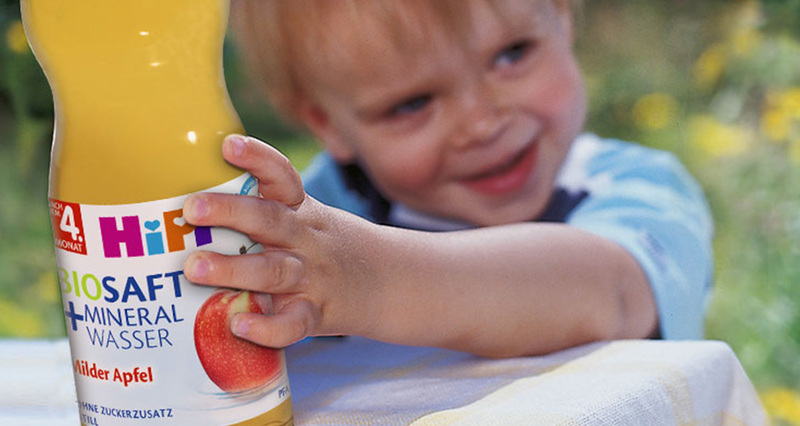 Toddlers (1-3 years) should drink about 1 litre a day. Mineral water, unsweetened teas or diluted high quality fruit or vegetable juices (1 part of juice to 2 parts of water) are most suitable. Drinks such as cola or other fizzy drinks contain too much sugar, are too rich in calories and are therefore not recommended. Drinks that are sweetened or contain caffeine should not be given to babies or small children. - Always quench thirst quickly. - Never give the bottle to your baby. Hold it yourself to avoid constant sucking! - From the 8th month you should get your baby used to drinking out of a cup, because constant sucking on a teat can cause caries.